Getting older is a challenge, but there is so much to look forward to. Before you can go all out and enjoy the best of life, you need to make sure that all of your ducks are in a row. That means setting up your late life essentials. Items like a living will, senior care insurance, and appointing a power of attorney. Working with an Elder Law Attorney is the best way to set your future up for success. They will walk you through the sets of setting up your essentials. Your attorney will need your help with a few bits and pieces, and one of those pieces is choosing a power of attorney. We are going to take a look at these essentials for the later stages of life, and we will cover a few myths associated with power of attorney. The Power of Attorney is the person or organization entrusted with helping the appointer with legal decisions. It’s an honored position that comes with the legal devotion for a person. It’s up to the PoA to make choices in the best interest of the person they are holding the power for. In general, the power of attorney acts as an agent on behalf of the people in question. A power of attorney can help someone sell a house while they are overseas. They can care for the neighbor next door who doesn’t have a family. The PoA is normally someone who can take care of financial matters. There are a few types of power of attorney, so let’s take a look at each. A general power of attorney gives a broad range of powers to the appointed person. It lets them act on your behalf. That means a general power of attorney could help you sell a house while you were abroad. They can also handle the majority of your financial decisions, business decisions, settling claims, and making gifts. A general power of attorney can also help someone with securing life insurance, finding professional help, and making decisions for others who physically or mentally cannot. A general power of attorney is generally included in an estate plan to handle the financial needs. A special power of attorney is given permission to make specified decisions as an agent. That means you get to call the shots on what they can, or can’t, call the shots on. If you are limited by time or health, this might be the route to go when you need to handle business. Collecting debt, handling business transactions, and managing the purchase or sale of property can all be specified. Special power of attorney is also called a limited power of attorney. This power of attorney is great for limiting the power of the agent. A health care power of attorney is a special power of attorney that pertains directly to medical decisions. This form of PoA lets your agent make decisions if you are unconscious, mentally unable, or otherwise unable to make decisions on your own. This is not the same as a living will, but it can work with one to make your care demands more direct. In tandem with a living will and life support preferences, a health care power of attorney will direct the medical staff to the proper care. A durable power of attorney is the best way to fight against not being prepared for a mental illness. You need to plan ahead since power of attorney must be appointed by a mentally competent individual. A durable power of attorney gives you the ability to set terms and conditions for the power to take effect. You can specify that you must be deemed mentally incompetent, and you can even make it specific to your doctor. A durable power of attorney is a great way to make sure that your current power of attorney agreements stay valid after mental illness. There is also options for DNR, or do not resuscitate. If you stop breathing, a DNR is an act to let you go instead of attempting resuscitation. In some extreme cases, a court can appoint an elderly guardian to an individual. Much like the general power of attorney, a guardian takes control of decisions for the principal or donor. A court will decide if a person keeps their mental rights. If there is no one in the family close or capable to take care of the person entering the guardianship, the court will appoint an agent. The courts can grant full guardianship or limited guardianship depending on the situation. There is a lot to learn when it comes to being, or choosing, a power of attorney. Since there is so much to learn with the topic, there are often myths that follow it. Such is true for any topic with a lot of information. To help you cut through the smoke and mirrors, Above and Beyond has put together a few of the common power of attorney myths. Our plan is to help you understand what a power of attorney can and can’t do. This is simply not true. The only way a person can assign a power of attorney is by being mentally competent. They have to sign the forms and confirm their choices. To be deemed legally incompetent, a person has to be deemed so by a doctor or show extreme signs of mental issues in person. This doesn’t mean that the starting signs of Alzheimer’s or Dementia will automatically disqualify you. On the other hand, you need to take care of these legal lasts before it’s too late. Sure, sure, the internet makes things more accessible. After all, you are here reading this blog post. Yes, you can find the forms online, but there is a major issue with filing online. These online forms might only cover the basics. They might not cover everything you need in your state. This means you will end up paying for it twice, and maybe more should the first filing cause issues. An Elder Law Professional will make sure you are covered. They will have the most up to date forms and be familiar with the current state filing regulations. Although a legal professional isn’t needed to make a valid appointment, it helps should the process turn to legal battles. Although online forms are “easy,” the ease of mind comes from filing with a lawyer. After All, it’s their career on the line. Don’t know who to call? Start with Above and Beyond. Our services are free, and we can help you get what you need. Our experienced staff is always here to point you in the right direction. In essence, this is a partially true statement. The only thing holding it back from being a fully true statement is the fiduciary obligations of a power of attorney. As a power of attorney, you sign an obligation to make decisions in the best interest of the individual[s] or group you are an agent of. That means, simply selling an estate without cause or reason in a clear violation of your job as a power of attorney. The fiducial obligation is implied within the law, and you won’t find it in the power of attorney forms. In a way, we have already covered this topic. There isn’t a single type of power of attorney. There can be a special power of attorney, or an individual given a task on behalf of the donor. You could even set up a plan with a durable power of attorney, or a condition based agreement. The court can even appoint attorneys to act as a person’s power of attorney, but this is normally reserved for extreme cases. When some doesn’t have family or anyone to take care of them, courts will appoint an elderly guardian. There are more types of power of attorney, and we covered them above. You know, for those of us that skip around articles. A durable power of attorney is a condition based agreement over control. It can’t go into effect if your loved one dies. A durable power of attorney is not good through death. Death doesn’t mean the conditions are automatically met. Death is normally handled by the last will and testament. Once again, this is simply not true. The donor can revoke power of attorney status at any time. Picking your power of attorney might be the most challenging decision of them all. How do you let someone speak for you? You do this by taking the time to really think out the person you are choosing for the task. Especially when it comes to senior care options and major life decisions, you really need to find a person that will put you first. You also need to make sure that person is up to the job. The cost of assisted living alone averages $3750 a month, and that’s just the basic packages. On top of that, the prices can swing depending on location. Your power of attorney will have to be ready to manage your accounts in such a way that lets you live your life in comfort. If you haven’t found insurance or financial help to pay for it, it will be up to the power of attorney. Say you haven’t found the place you want to go, or set aside a big chunk of money for retirement. 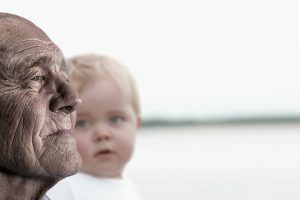 You could be looking at a financial crisis later on in life, and your power of attorney needs to be ready to help you. Whoever you choose needs to know a thing or two about budgeting. You can also get outside groups to help with your senior financial management. This is really useful for anyone who has a wonderful pick for power of attorney, but the agent doesn’t know anything about finance. We touched on fiduciary obligation before, but we want to focus on it again. When you are signing onto the role of power of attorney, it’s your duty to put the agent’s best interest in mind. Misusing your power is a breach of your fiduciary obligation, and can result in a civil legal case. The case has to have a direct correlation between the breach and the damages the agent suffered. Remember to respect your position as power of attorney because it’s based on good faith. The agent is only responsible for direct misconduct with their responsibilities, so don’t be careless. You will want a level head to make the call on final decisions. Picking a person or organization who knows you like no one else is a great place to start. Make these calls for the agent’s life can be a struggle. You want to find someone who will take the opinions of everyone around, and keep a level and objective outlook. It can be a question of quality of life, or it could be a call from the bank about the money being gone. The power of attorney has to be ready and able to make these decisions no matter what is thrown their way. It’s always scary to think about what is going to happy to your assets when you get old, especially without a plan. Are you going to lose the house to the city? Are you going to be able to keep the cars and transfer them without a signature? These are all situations the power of attorney needs to aware of, especially if they hold joint accounts. Joint accounts are a great way for your loved ones to keep the assets, even if you pass. You have to make sure to put the assets into the joint accounts with the person you plan to pass it off to well in advance. Should a person fall ill and need to join medicaid, the joint person can only keep the house if they have been on it for 7 years or more. Planning the transfer of vehicles should be handled well in advance as well. We aren’t saying you need to swap the title and registration right away, but you should have your loved one sign the titles. This way, should something take a turn for the worst, you already have the titles in hand to transfer. Who Can Be Power of Attorney? At the end of the day, anyone can really be appointed to power of attorney, but the donor has to be in their right mind. Sometimes people don’t have family that lives close enough, so they have a neighbor they trust stand in as power of attorney. Should something happen to your loved one while you were away, you have someone who can help communicate your care wishes legally. Sometimes it’s better to have an outside part act as a power of attorney. If you feel like you can’t trust anyone in your family to use their power of attorney status responsibly, you can look for outside help. There are tons of foundations that help manage financial budgets for your loved one. If you can’t afford a financial service, you can reach out to us here at Above and Beyond Senior Placement Services. We put our 20 years of experience to work for you with everything from placement to budgeting on your budget. So how does power of attorney relate to senior care? It factors directly into planning for old age. Whether it be assisted living situations or extensive memory care, you need to have a plan in place. You can customize the care you get and the people who will handle it with your agents. Using a limited or special power of attorney statuses lets you delegate tasks to specific people. Maybe you have one person being your agent for your medical decisions. You could have another as a financial advisor. Keeping a lawyer as an agent might not be a bad idea if you can afford the payments. Having specific people for specific jobs is never a bad idea, but make sure you limit them to your specific needs. This is especially true when you appoint someone to sell something. Make sure you set your lowest bid. What Can a Power of Attorney Not Do? Although the agent seems to have a lot of power over a person’s life. However, fiduciary obligation makes that a challenge, and power of attorney agents have even more restrictions as well. Power of attorney agents cannot change a donor’s will. This protects against the agent from abusing the donor financially, and forcing or tricking them into signing everything to them. Power is appointed by a donor, so a power of attorney cannot transfer their power. That donor must appoint the other person as a power of attorney. Getting ready for senior care can be a difficult process. From setting up all of your legal agents to choosing a facility, there is a lot that goes into proper planning. Often we see issues with families not knowing the proper steps to get the care they need, while others simply don’t know how to create a budget for their expenses. This is where Above and Beyond Senior Placement Services comes into play. Above and Beyond takes the time to understand your story and your care needs. By understanding who we are working with, we are able to make connections for care. We can find you all of the senior care options you need, and we will work with your budget to get there. Call us if you need help taking the next steps for care, or starting them. 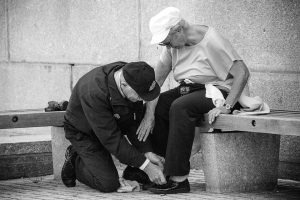 Above and Beyond is happy to offer free services for senior care placement. We can help you create a list of the steps and create a custom plan for you. From setting up power of attorney to finding the perfect assisted living home, we can point you in the right direction. Our goal is to provide you with top quality care and service, and we do that by providing you options. We custom tailor each plan to your situation. It’s not our call, we’re just here to help you understand what’s available for you or a loved one. Even if you don’t have a plan in place, Above and Beyond can still help. We have emergency placement services that work with you and your loved one to cover the care they need. Even if your plan is complete and already in motion, you can ask Above and Beyond to double check. The best part of about Above and Beyond’s services is the price. It’s completely free! That’s right, you can get your hands on 20 years of experience for free just by contacting us. There is no bias, only options. If you have any questions about preparing for senior care options, you know who to call.